The European Space Agency is about to attempt something that could have huge implications for our understand of the Red Planet. Scientists at the European Space Agency will be holding their breath today. The ESA is on track to conduct a huge Mars landing on Wednesday, Oct. 19, but its spacecraft will have to survive high speeds, intense heat and some carefully executed maneuvers. The Schiaparelli landing capsule has a scheduled touch down on the surface of Mars today as part of ExoMars 2016, which is a joint mission between the ESA and Russia’s Roscosmos space agency. The lander is meant to last just a few days on a battery, but Schiaparelli is primamrily meant to demonstrate technology for an important life-hunting ExoMars rover slated for 2020 — and it will do a little science while it’s down there, too, according to an ESA statement. The Trace Gas Orbiter (TGO) is the spacecraft that is delivering Schiaparelli to the surface. It launched back in March and since then has traveled 300 million miles to the Red Planet. It will continue circling Mars as the lander sits on the surface below. 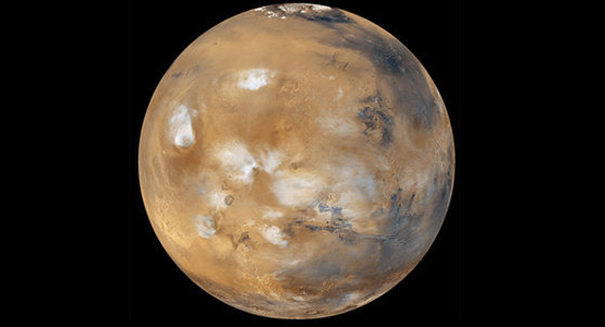 “One of the core scientific goals of any mission to Mars is the search for evidence of life. The best approach is to investigate the surface where the evidence may lie,” the ESA statement reads. “The key element for accessing the surface of Mars and one of the greatest challenges in space exploration is the successful execution of the entry, descent and landing sequence. This is one of the reasons why since the late 1960s there have been so many missions attempting to land on the surface of Mars, some being successful, many others ill-fated.